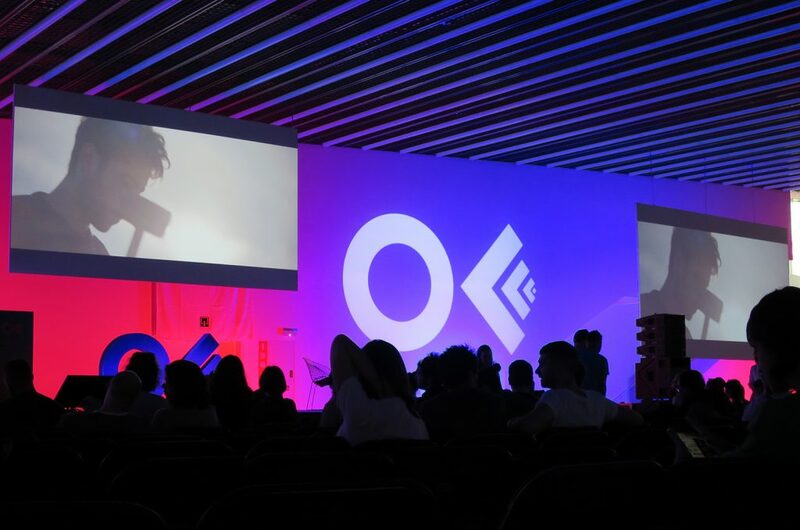 OFFF has a truly unique atmosphere unlike any other design event I’ve been to. Theres an amazing energy thats hard to put into words but I think the phrase ‘lightning in a bottle’ comes pretty close. It’s a hit of supercharged inspiration, delivered by creative pioneers from every field imaginable. And lets not forget the added bonus of being surrounded by like minded people from all over the world, making it the perfect place to meet new friends and future collaborators. 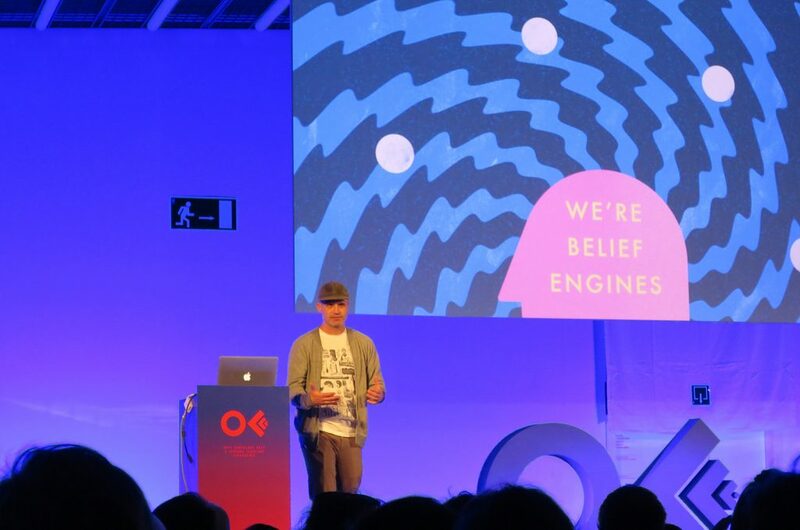 This year marked the 17th edition of OFFF and it was bigger than ever with a new third stage featuring different kinds of talks, a restaurant and expanded outdoor ‘Fun zone’ providing extra seating, more bars, food trucks and a screen so you didn’t have to miss a talk while outside in the sun. The format had also changed slightly, with the opening titles killed off and replaced with a short film called ‘New Senses’ by OUTRO Studio, creators of this years campaign. These were welcome additions but my personal favourites have to be the outdoor screen and expanded ‘Fun Zone’ which I took full advantage of. Listening to Lance Wyman talk about some of his most iconic projects which included the branding of the 68 Olympics and the Mexico City Metro. The mighty Gmunk walking us through a selection of incredible paid / personal projects in his own hilarious style. He shared how each project leads on to next before getting deep about the pit falls of doing work for affirmation and why he views all of his projects as a failures. Getting to see Joshua Davis back on the Roots stage as he hammered our eyeballs with his insane audio reactive work for The Super Bowl, Deadmau5 and pervious OFFF Festivals. The unveiling of Vallée Duhamel’s beautiful and surreal Main Titles which were an absolute feast for the soul. I've watched them at least 6 or 7 times since getting back and they’re still as captivating. Buck’s amazing animated intro for David Blaine’s upcoming magic special, Spectacle of the Real and their powerful work for AA and ChildLine. Sitting in the Barcelona sun with a cold beer and killer nachos while watching Anton and Irene talk about the unexpected benefits of personal projects and how doing too many a year will drive your accountant crazy! Kelli Anderson’s paper creations which included working fold out record players! Leta Sobierajski & Wade Jeffree talking about how literally putting yourself into your work is not just cost effective but also hugely beneficial creatively, despite the odd bit of discomfort. Ivan Cash on how getting arrested got him his first job and seeing his cool, guerrilla style projects Occupy George & No Tech Zone. The official closing party: Disclosed Flavours, which took place at Razzmatazz. It featured DJ’s and audiovisuals from OUTRO Studio, Mr. Kat and Joshua Davis making for a pretty bonkers night. A fitting end to an amazing 3 days. 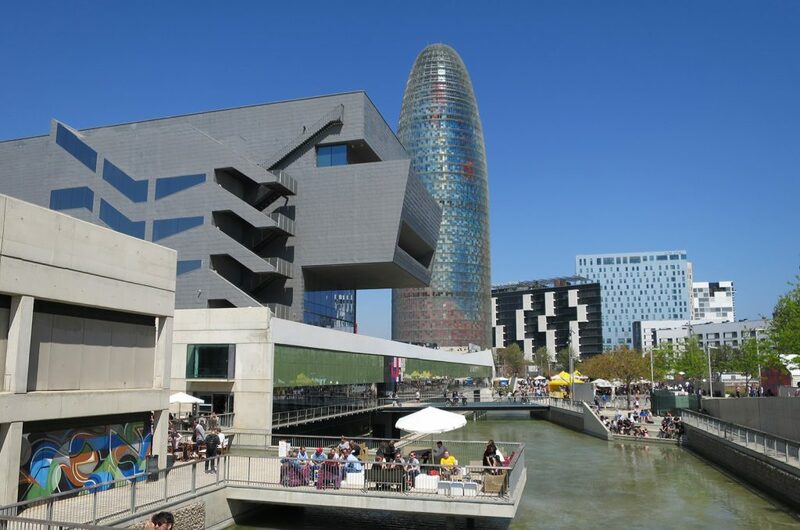 Visit offf.barcelona for more information. 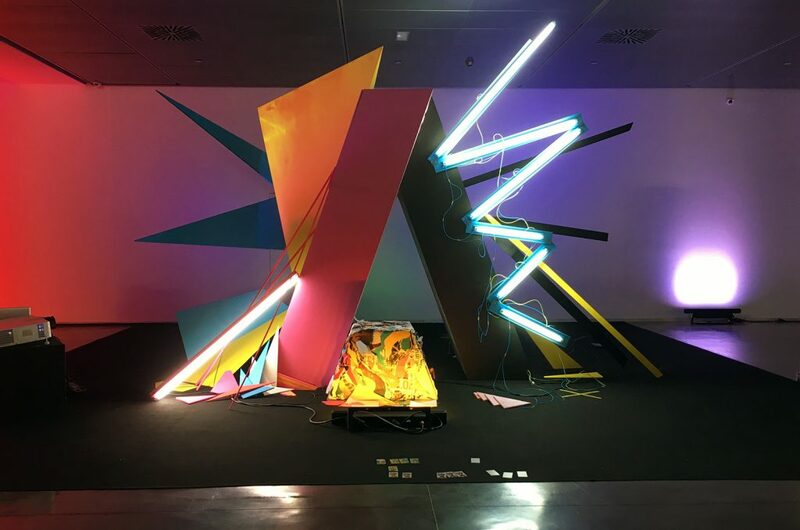 Art Installation for Adobe by Lauro Samblás.